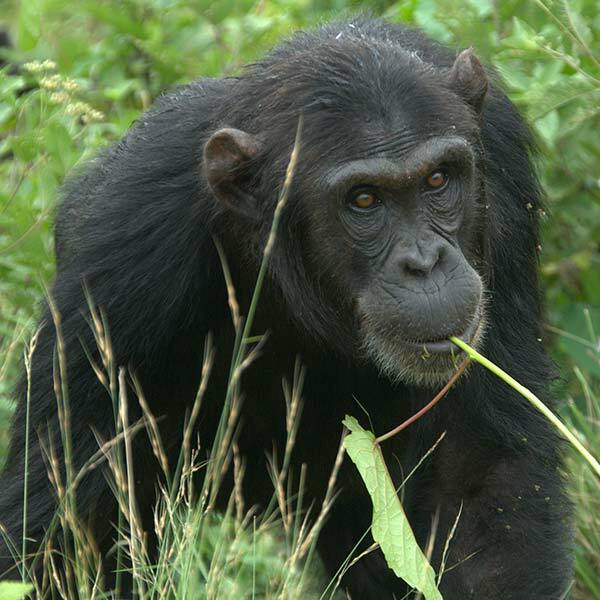 My name is Baron and I arrived at Ngamba in 2008. I love other chimps and hate to be left alone! I especially love the company of Indi but when I am being bullied by other chimps I will run to Tumbo for protection. I also love to mess with my caregivers and will often be the very last one out of the holding facility in the mornings. I always end up out in the forest but it’s a fun game making them work to get me out.